Christina Chase is currently an Entrepreneur in Residence at MIT in the Martin Trust Center, where she helps MIT students launch successful startups and teaches entrepreneurship. In 2013, Ms. Chase was named one of the 25 Most Influential Women in the Boston Tech Community. Ms. Chase is an entrepreneur with a track record of success in a several industries, starting her first company when she was 18 years old. Most recently she was the CEO and co-founder of Firehoze, an education technology company that focused on online education that involved over a hundred instructors from the most prestigious universities. Prior to that, for the healthcare IT startup Casenet, she built and ran the marketing and business development division positioning the company to be the industry leader. At the photonics company, Labsphere, Christina ran the Materials and Coating division where, in under a year, she tripled her division’s revenue and led the group to file three key patents. She has also worked at Dartmouth College’s Entrepreneurial Network to help launch startups that commercialized Dartmouth College’s intellectual property portfolio. At HP, Christina managed marketing for the newly formed OEM data storage division and changed the way HP thought about OEM marketing. The division grew by $750 million in a year. 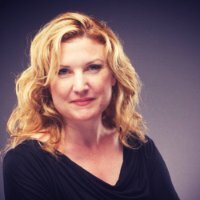 Ms. Chase is a TechStars mentor, one of the preeminent startup incubators in the United States. She serves on the Board of the MIT Enterprise Forum, as well as SXSW Accelerator Advisory Board and SXSW V2V Advisory Board.